Are you ready for a jolt? After noticing many requests from store owners, Cart2Cart launches automated GoCentral by GoDaddy migration. 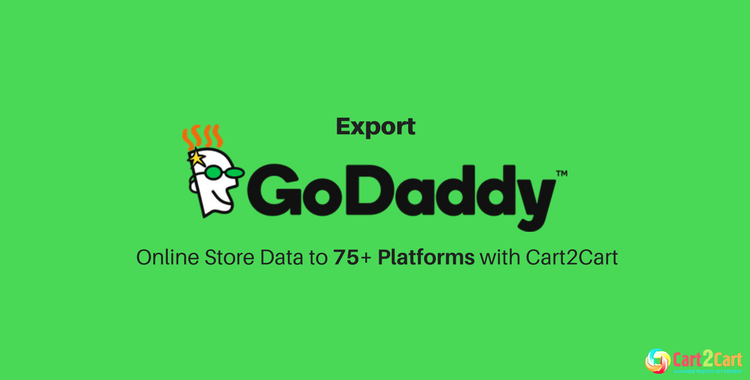 From now on, you can easily export GoDaddy online store data to 75+ eCommerce platforms automatically with minimum efforts. GoCentral by GoDaddy is well-known, easy-to-use American website builder with professionally designed themes. It offers 24/7 support via multiple channels: phone, live chat, email. Without taking into account the simplicity and user-friendliness of this platform, GoDaddy offers quite basic eCommerce features. Customization possibilities are also pretty limited - you will not be able to go beyond permitted boundaries, which, unfortunately, allow you not so much to do. In addition, GoDaddy appears to be a quite expensive eCommerce solution in comparison with other hosted platforms. So, if you think that these disadvantages are enough to migrate from GoDaddy to any 75+ shopping carts, now you have this possibility with Cart2Cart service! Where can I export GoDaddy online store? Cart2Cart is #1 automated migration service which successfully migrated more than 30 000 online stores. This service will easily export GoDaddy online store products and other to another eCommerce platform within few hours, with no programming or technical skills required. Cart2Cart offers the largest list of transferable entities available today on the market, and this service won’t affect your current GoCentral store performance during the whole GoDaddy migration. Customers can continue making purchases without even a thought that you are replatforming. What is more, Cart2Cart offers you to perform a Free Demo GoDaddy migration! It'll move a limited number of entities will be transferred from your current GoCentral by GoDaddy store to a new eCommerce solution. If you need more detailed information or have any migration-related questions, feel free to contact Cart2Cart 24/7 responsive support team for assistance. Take your chance to be among first who will strengthen their business and increase effectiveness, Export GoDaddy online store automatically via Cart2Cart straight away.